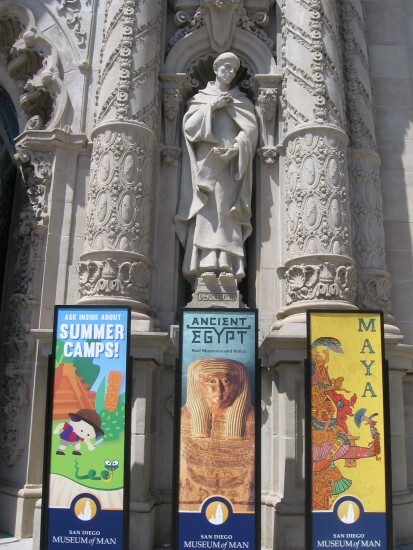 museum of man – Cool San Diego Sights! Write down your secret, share it anonymously! 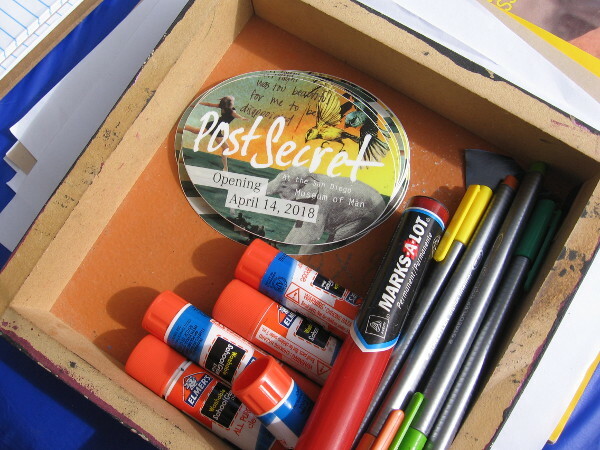 PostSecret is coming to the Museum of Man in Balboa Park on April 14, 2018. I was walking through the Fall Back Festival in the Gaslamp before it opened this morning and stumbled upon a fantastic community art project! 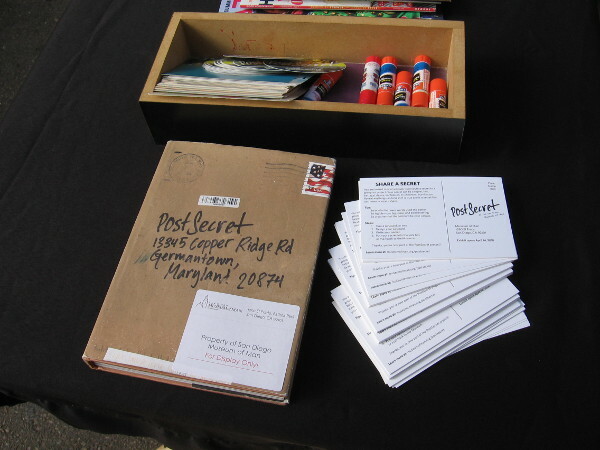 The project is called PostSecret, and it was begun in 2004 by an inspired gentleman named Frank Warren. 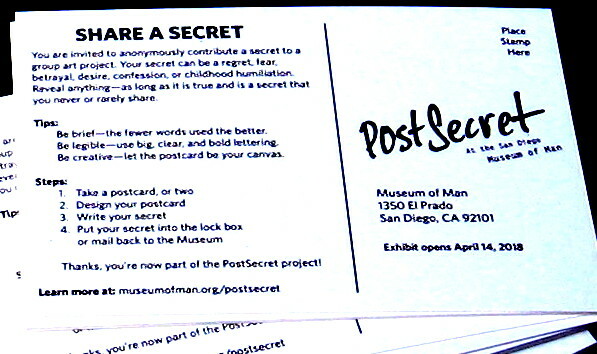 People anonymously write down one of their deepest emotional secrets on a postcard and mail it in. The postcards are then displayed as public art! The project has already received over a million submissions! 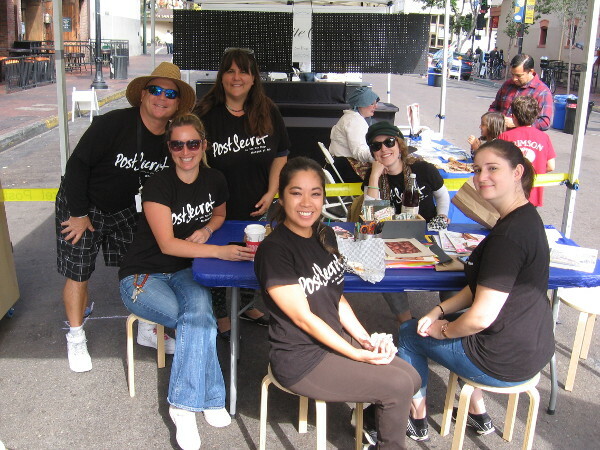 The folks I met at the Fall Back Festival were representing the Museum of Man in Balboa Park. 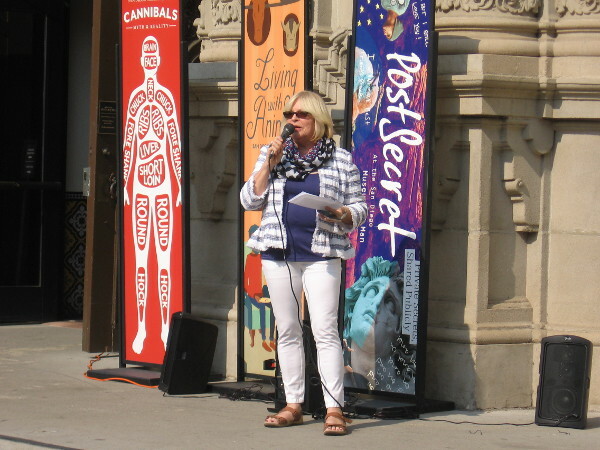 I learned the traveling PostSecret exhibition is coming to San Diego and will open at the museum on April 14, 2018! 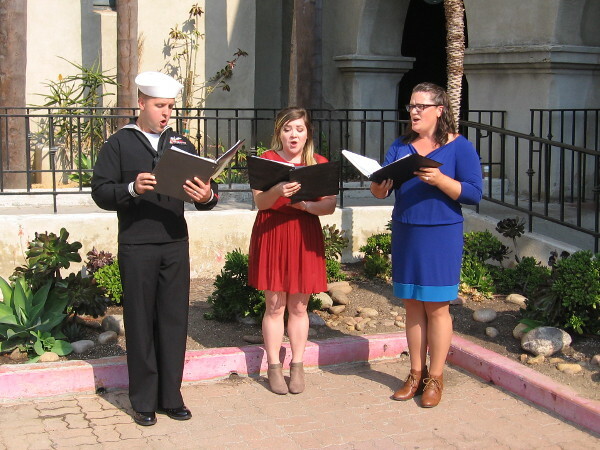 Residents of San Diego are encouraged to share their secrets! How? Simply mail a creative postcard containing one of your written secrets to the Museum of Man address you see in one of my photos. 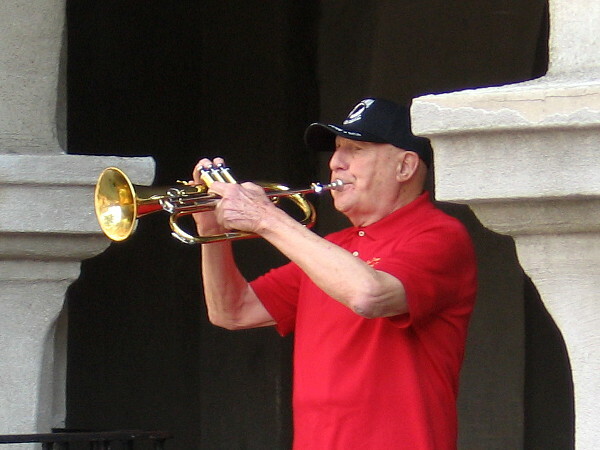 Your secret can be absolutely anything–a regret, a fear, a desire, a confession–as long as it is true. You might make your postcard into a work of art, or simply write down a few brief words. I’m mailing my postcard tomorrow. You also have secrets to share, don’t you? These friendly folks would like you to mail in one of your secrets anonymously! 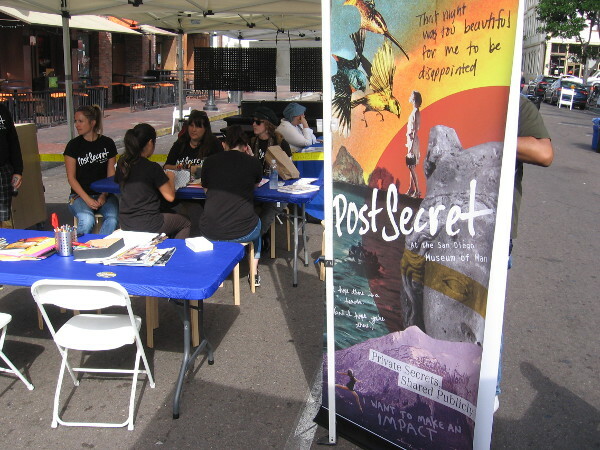 PostSecret is a project that was begun in 2004 by Frank Warren. Over a million secrets have been shared. That address on the right is where you need to mail your postcard! Mail as many secrets as you’d like! Perhaps by mailing your secret, you’ll help us humans better understand our inner selves. Or gain a personal sense of relief. Or simply enjoy a healthy laugh! Posted on November 5, 2017 February 15, 2018 Tags art, balboa park, community, cool, life, museum of man, museums, mysterious, people, public art, san diego, truth, words, writingLeave a comment on Write down your secret, share it anonymously! 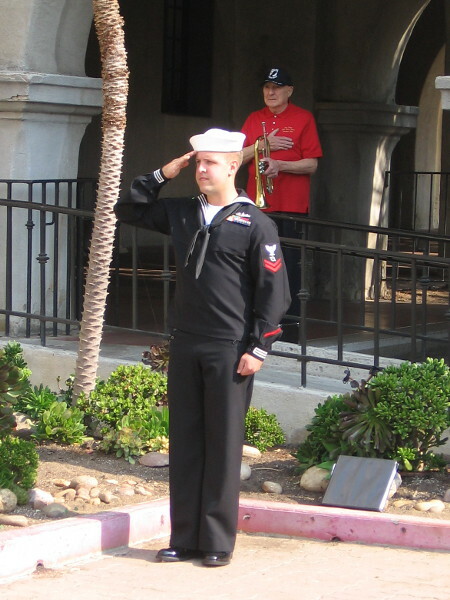 Cool knight in golden armor stands guard in San Diego! 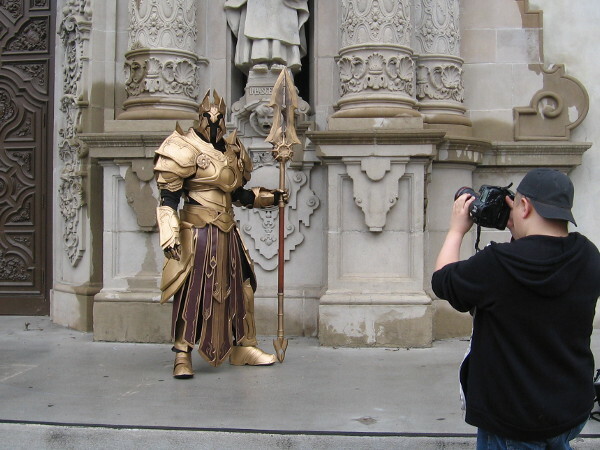 A cool knight in golden armor poses for a fantasy photo shoot in front of Balboa Park’s ornate Museum of Man facade. I was walking through Balboa Park, on a mission to check out today’s Native American Pow Wow, when I was stopped in my tracks by a fearsome knight in shining golden armor! I spoke very briefly to the guy in the costume. Nothing in particular was being promoted. My impression is that he made the exotic suit of armor himself. Wow! I can’t wait for San Diego Comic-Con! It’s two months away! 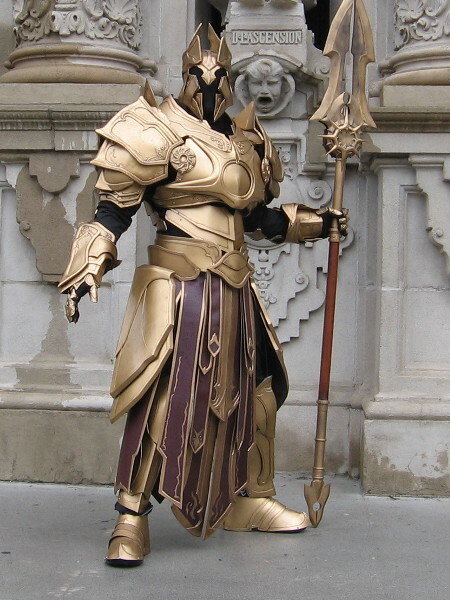 In the comments, Andrew identified the cosplay as Imperius, the Archangel of Valor from Blizzard’s Diablo series. Cool! 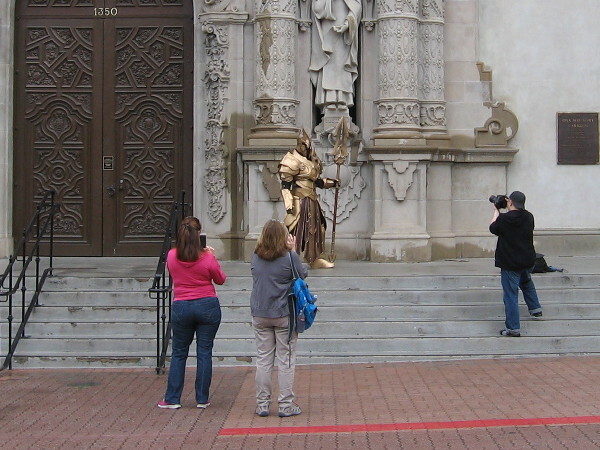 Visitors to Balboa Park in San Diego were surprised to see an impressive knight in elaborate golden armor standing guard near the entrance to the Museum of Man. Truly fantastic cosplay! A warrior in incredible golden armor seems to have emerged from Lord of the Rings, Arthurian legend, Game of Thrones…or the mists of the distant past. 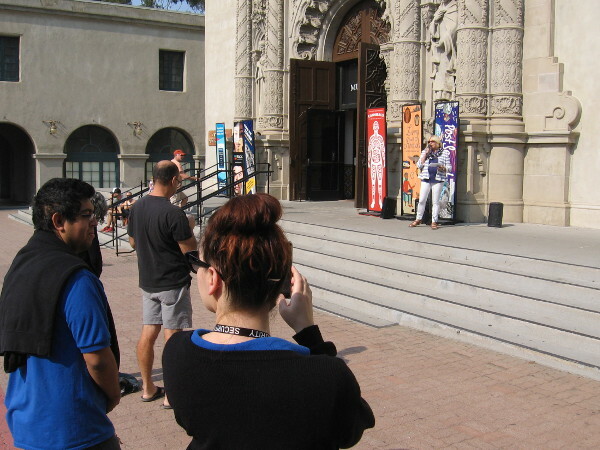 Posted on May 7, 2016 February 20, 2018 Tags amazing, balboa park, comic-con, cool, cosplay, costumes, fantasy, imagination, museum of man, photo, photography, san diego4 Comments on Cool knight in golden armor stands guard in San Diego! 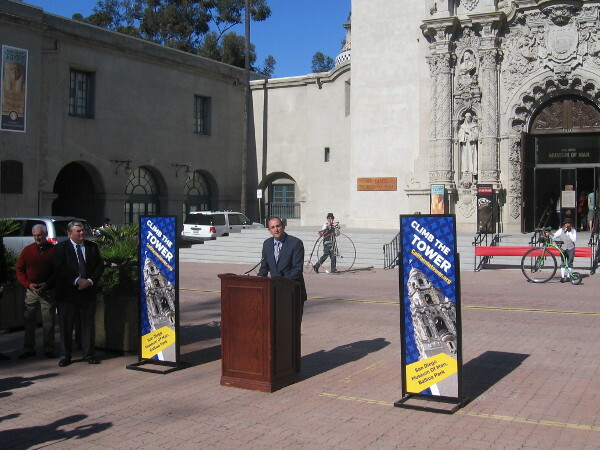 Historic reopening of California Tower in Balboa Park. 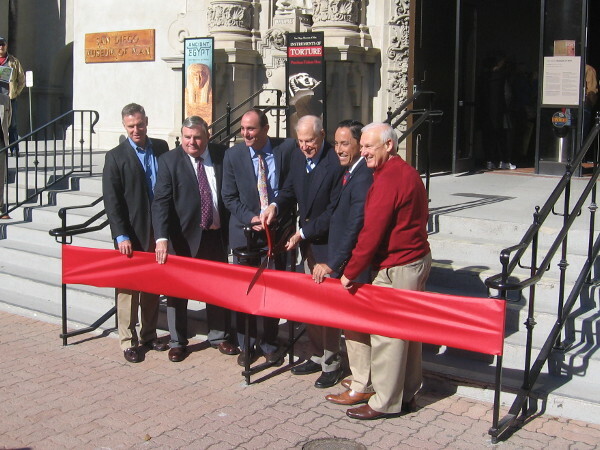 Dignitaries cut symbolic ribbon officially opening California Tower on New Year’s Day. 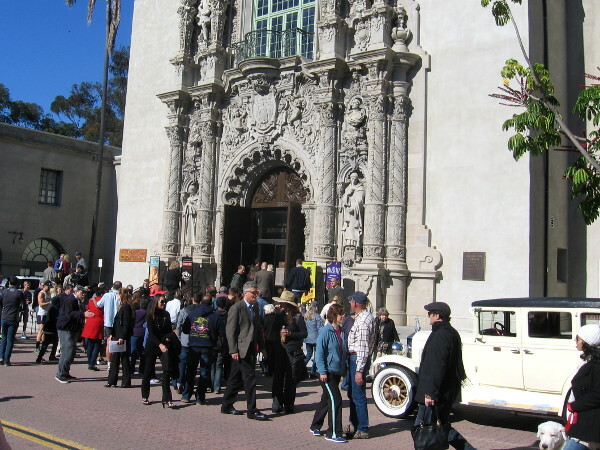 New Year’s Day in San Diego’s beautiful Balboa Park was marked by a historic event. 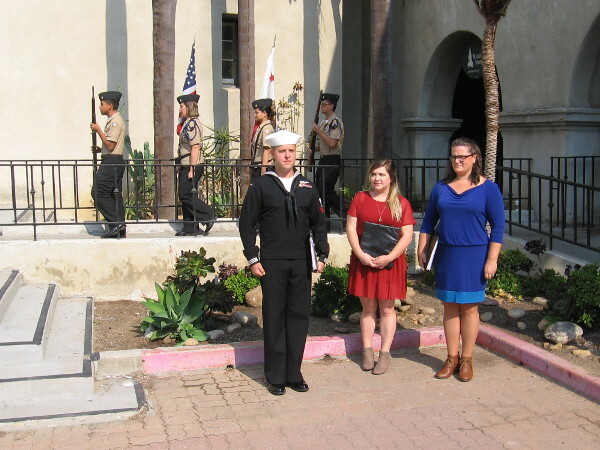 Today, after 80 years, the California Tower reopened to the general public! 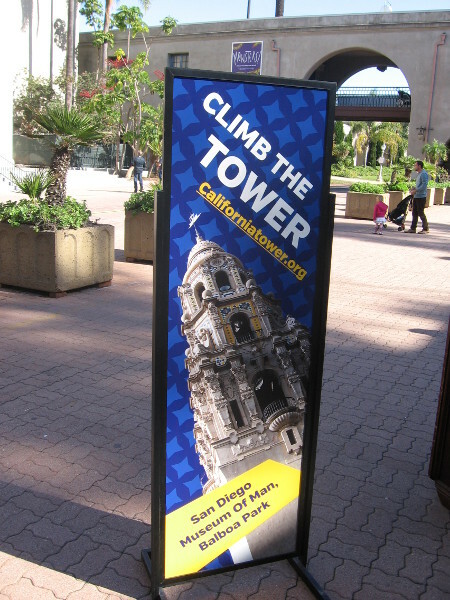 The California Tower is one of the most iconic sights in San Diego. 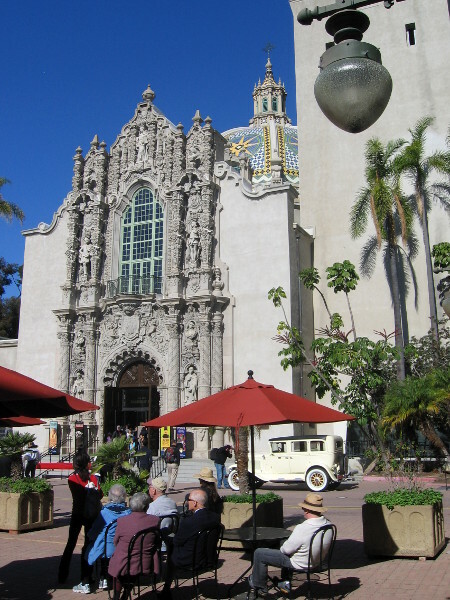 Like many of the ornate Spanish Colonial Revival-style buildings in today’s Balboa Park, it was built for the 1915 Panama-California Exposition, which celebrated the opening of the Panama Canal. The tower was originally accessible to visitors, but in 1935 that changed. 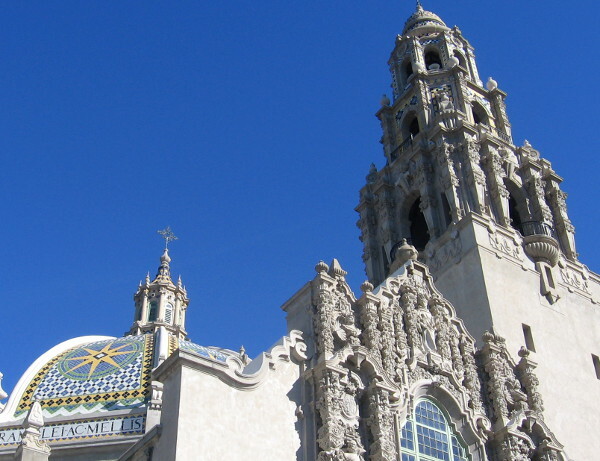 One of the most important developments during the Balboa Park Centennial Celebration this year is the long-awaited reopening of the amazing tower! With the purchase of a special ticket, anyone can now join a small tour that climbs up 125 steps to an observation deck high above the park. Views are said to be breathtaking in all four directions. One day (when it’s not sold out) I’ll check the tour out and post some pics! Dignitaries at the noon ribbon-cutting ceremony included U.S. 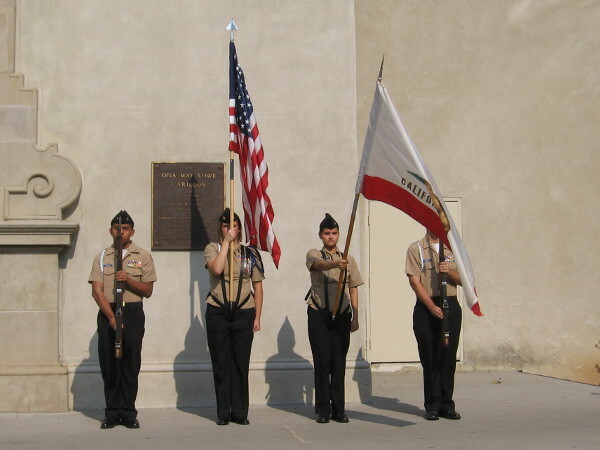 Congressman Scott Peters, San Diego County Supervisor Ron Roberts, and San Diego City Councilman Todd Gloria. 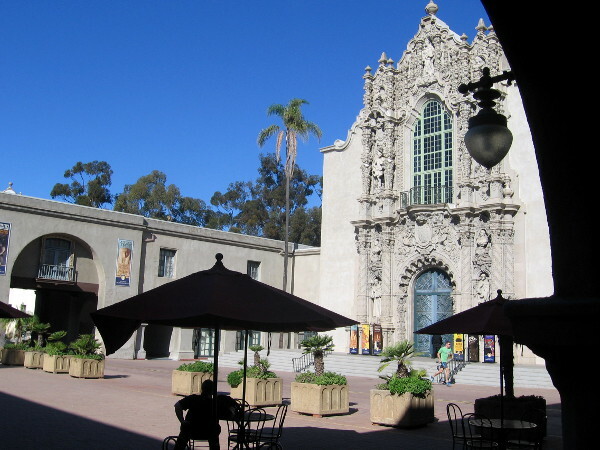 You might recognize the California Tower and other portions of the California Building, which now houses the San Diego Museum of Man, from the movie Citizen Kane. Shots of Balboa Park’s architectural wonder were said to be Charles Foster Kane’s Xanadu Mansion in Orson Welles’ classic film. The tower, reopened today to the general public, rises above tiled dome of California Building. Museum visitors can now climb the California Tower for amazing panoramic views. 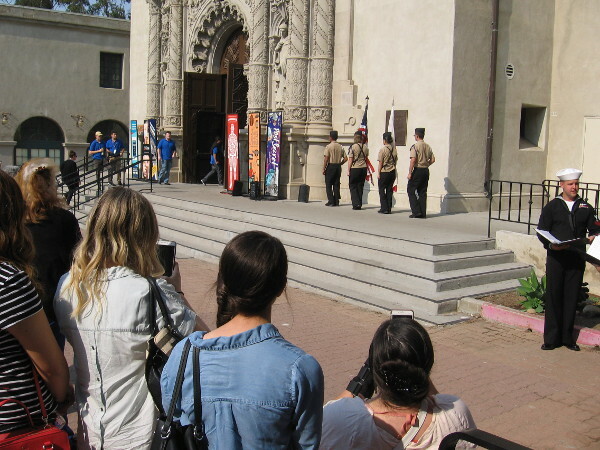 Audience gathers for ceremony on the tower’s 100 year anniversary. 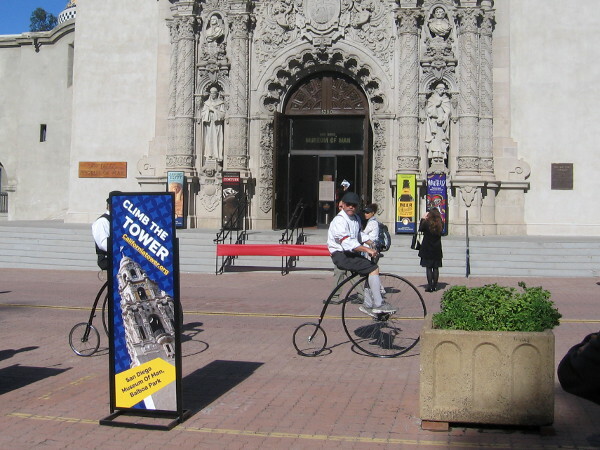 Several cool bicyclists happened to ride down El Prado in front of the Museum of Man. News cameras wait for speeches, and so do the assembled dignitaries nearby. 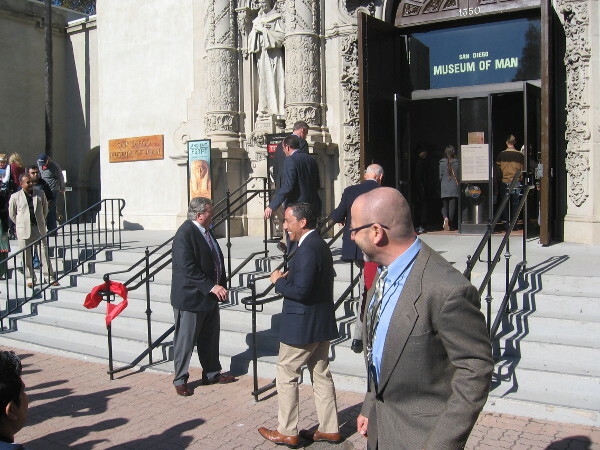 Micah D. Parzen of the San Diego Museum of Man begins by thanking many people. 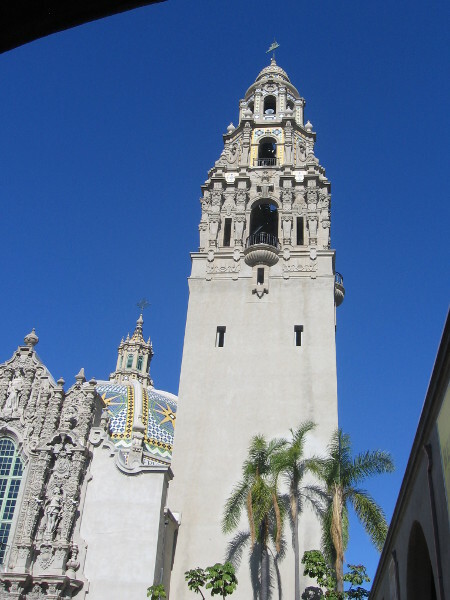 California Tower first opened in 1915 for Panama-California Exposition in Balboa Park. Photographers up on the observation deck, where the public can now go! 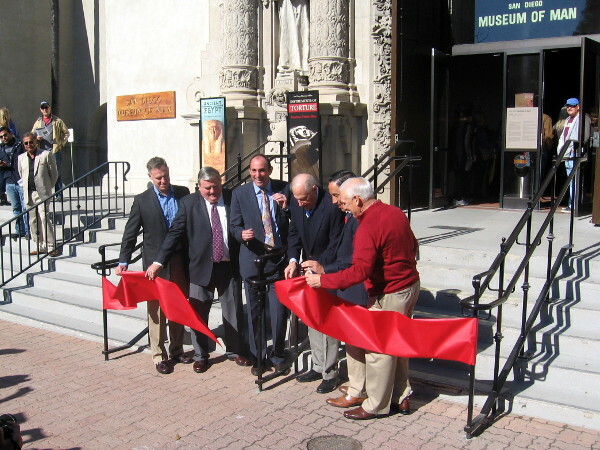 Local politicians, museum head and donor, poised ready to cut the big red ribbon! 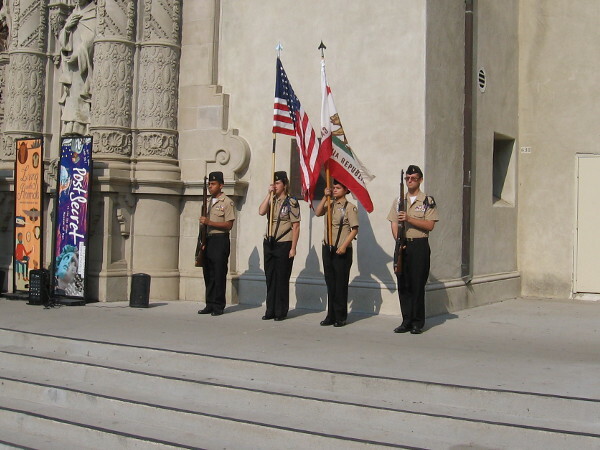 Feeling great about historic event, taking place during Balboa Park’s Centennial Celebration. Crowd disperses from ribbon cutting ceremony on another beautiful San Diego day! 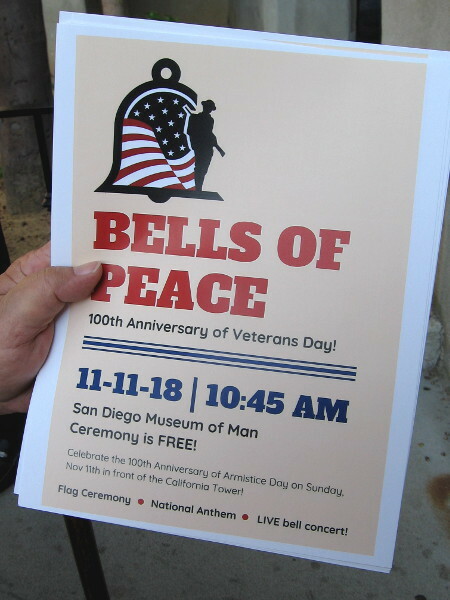 Posted on January 1, 2015 October 18, 2018 Tags architecture, balboa park, buildings, california tower, events, history, museum of man, museums, san diego, tourism, towers, travel2 Comments on Historic reopening of California Tower in Balboa Park. The beautiful California Building and Quadrangle. Elaborate facade of the beautiful California Building in Balboa Park. 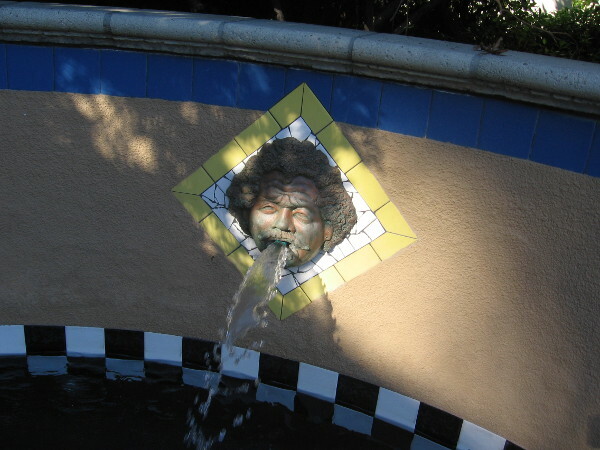 Here’s one iconic sight in Balboa Park I always lift my eyes to enjoy. 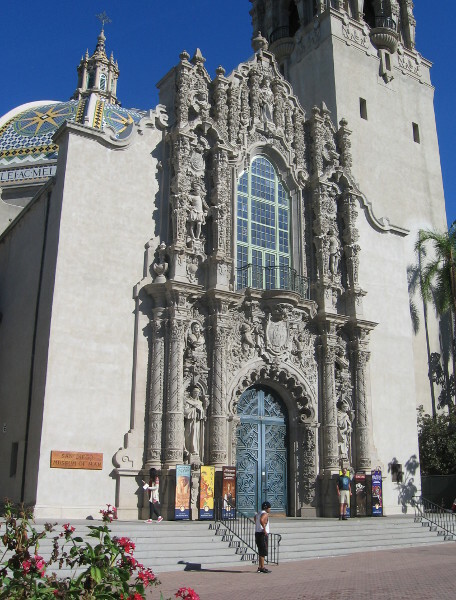 The elaborate facade of the California Building, home of the San Diego Museum of Man, contains sculpted historical figures molded from clay and plaster. 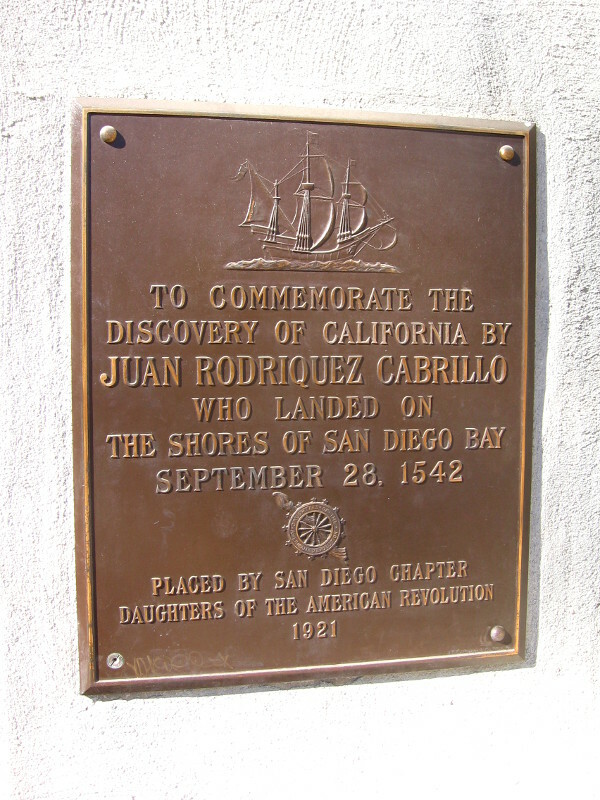 These figures include Junipero Serra, father of California’s Spanish missions, and Juan Rodriguez Cabrillo, who discovered San Diego Bay nearly five centuries ago in 1542. 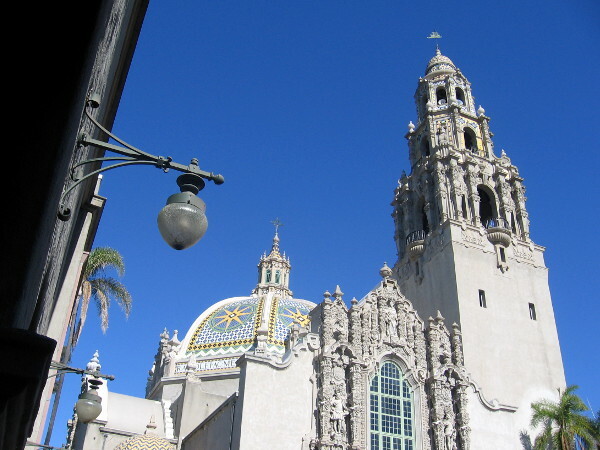 This fantastic building, inspired by the church of San Diego in Guanajuato, Mexico, was erected for the 1915 Panama-California Exposition, an event that celebrated the opening of the Panama Canal and promoted San Diego as a destination. Like other similar buildings to the east along El Prado, it is in the Spanish Colonial Revival architectural style, which was largely developed by Bertram Goodhue. The California Building and adjacent California Tower, and the more simple structure to the south across El Prado–housing Evernham Hall and the St. Francis Chapel–form the California Quadrangle. The courtyard-like area at the quadrangle’s center, where visitors can sit at tables and through which cars today travel, is called the Plaza de California. Every few years I venture into The Museum of Man just to refresh my memory. There are a number of interesting anthropological exhibits, including a whole room full of spooky Egyptian mummies! Gazing up at the colorful dome of the California Building, and the California Tower. People on the street in front of the Museum of Man. 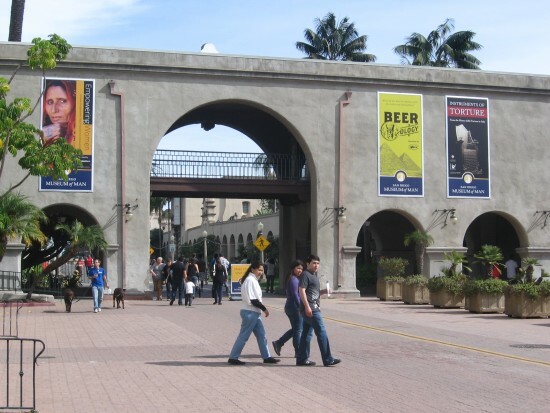 El Prado runs through the Plaza de California. 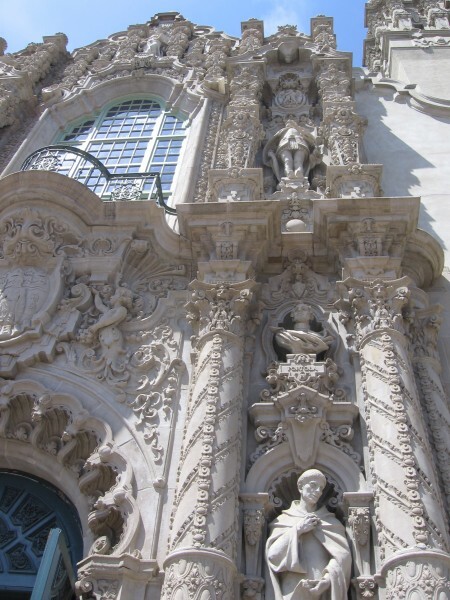 Plaster figures from local history adorn the ornate facade. Banners near the entrance show current exhibits at the Museum of Man. 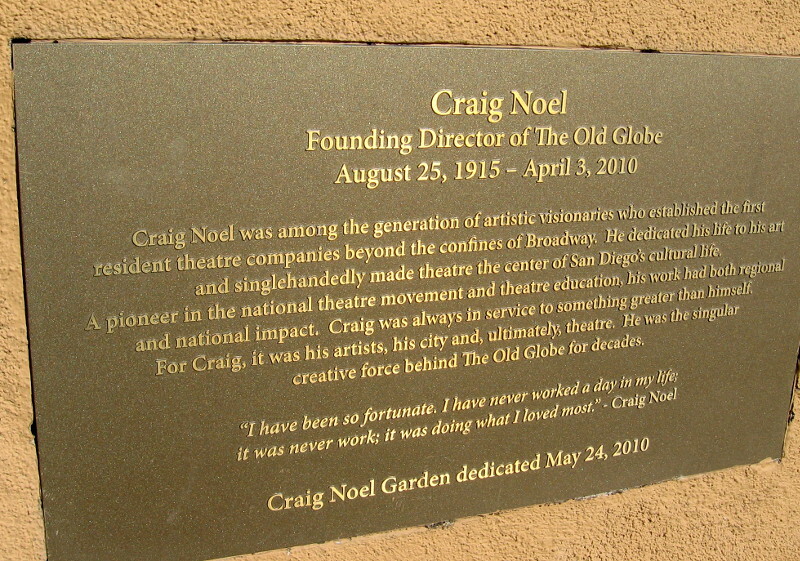 Plaque a bit west of the Museum of Man, beside the archway into Balboa Park’s California Quadrangle, commemorates Cabrillo’s discovery of California. Sitting at a table under an umbrella near the beautiful Museum of Man. Sign in the California Quadrangle. Built for the 1915 Panama-California Exposition, the Plaza de California and surrounding buildings served as the grand west entrance for the exposition. Photo toward the southeast corner of the California Quadrangle shows Mission Revival style arches. Photo of the iconic California Tower from a point east on El Prado. 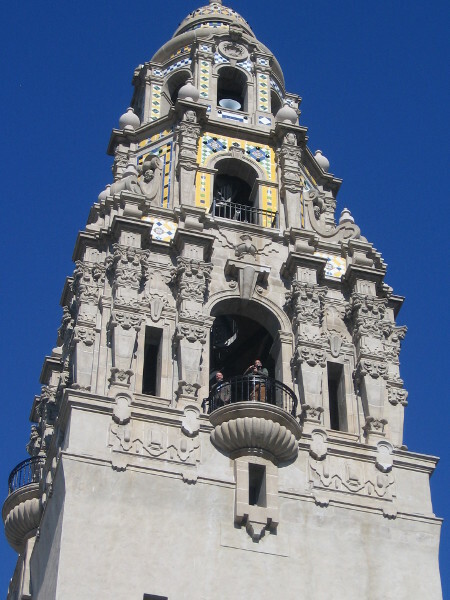 The ornate upper levels of the California Bell Tower. 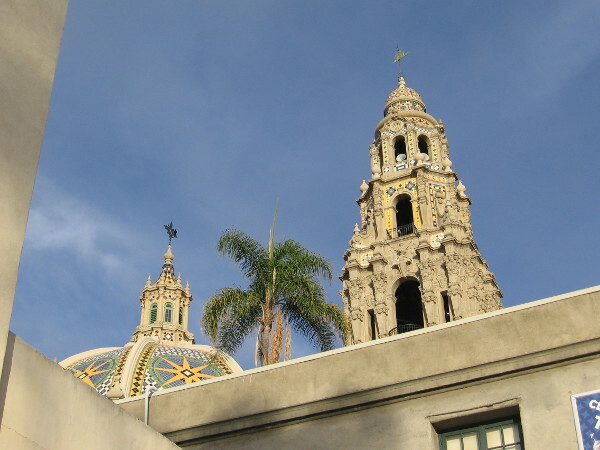 Tours up the tower’s stairs provide amazing views of Balboa Park and San Diego. Photo of the beautiful California Building from the east, near the Old Globe Theatre. 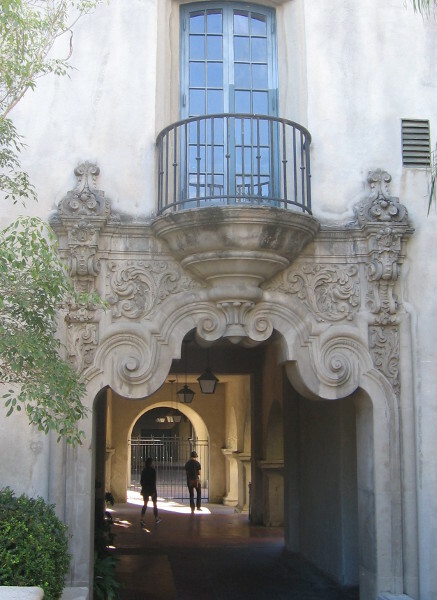 Elaborate ornamentation around the archway outside the east side of the California Quadrangle. Colorful dome tiles, part of the Spanish Colonial Revival masterpiece of exposition architect Bertram Goodhue. 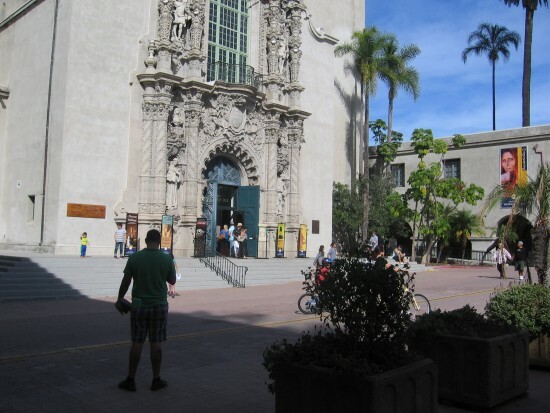 Posted on September 5, 2013 December 14, 2017 Tags anthropology, architecture, balboa park, el prado, history, museum of man, museums, san diego, tourism, travelLeave a comment on The beautiful California Building and Quadrangle.